Why Choose Azure on the Beach? 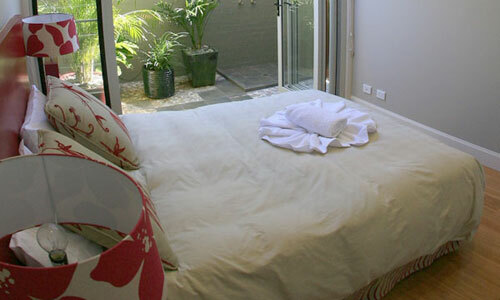 Queen bedroom has a soaring ceiling. 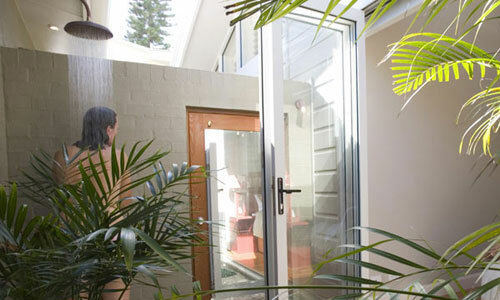 It also has a private courtyard with a tropical garden & shower. 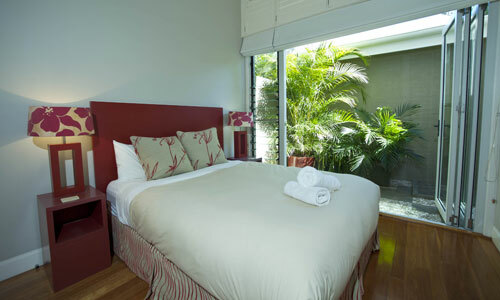 Both downstairs bedrooms feature their own private tropically planted courtyards with outdoor hot and cold showers incorporating huge shower heads.